XIAN CHINA – 5 Great Attractions! China is a big place, full of wonders and places to explore. Each city offers it’s own special attractions. Many travelers, feeling a bit overwhelmed by the size of Beijing, find Xian to be one of their favorite cities on their journey to China. It is an open, warm and accepting place to visit. The people are friendly and welcoming and the city is easy and comfortable to explore. No wonder it is at the top of the list of many who visit China. There is much to see and do. 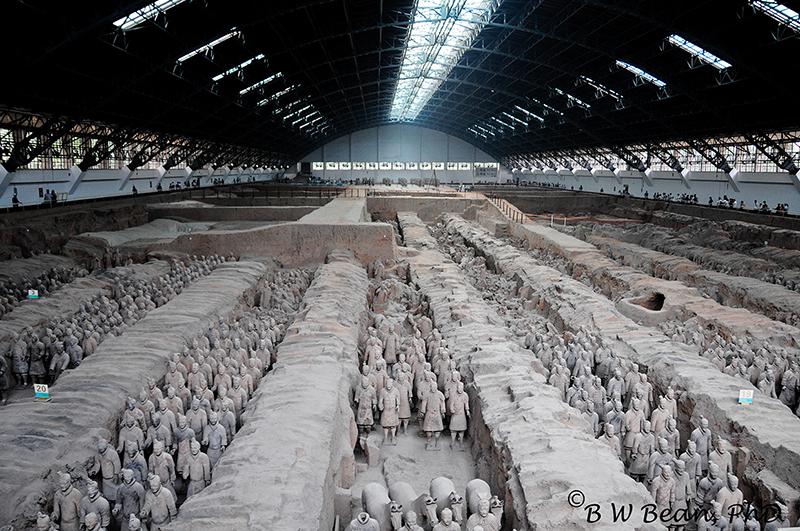 Here are 5 great attractions in Xian China. 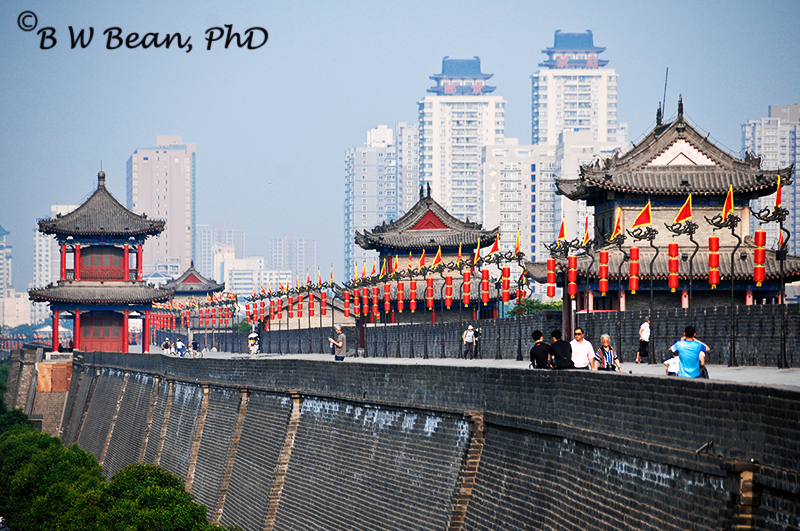 Unlike many other cities in China, Xian has retained it’s entire city wall which surrounds the old central city area. It’s simply amazing. Dating from 1370, the entire wall forms a 9 mile long protective barrier around the city. The top of the wall is open and wide, marked at various points with numerous gates and towers. You can walk the entire distance and get some great views of the city. Or better still, rent a bicycle atop the wall and ride around the city with a bird’s eye view. There’s a party like atmosphere -l ots of people and action. Stop for snacks and take lots of photographs. 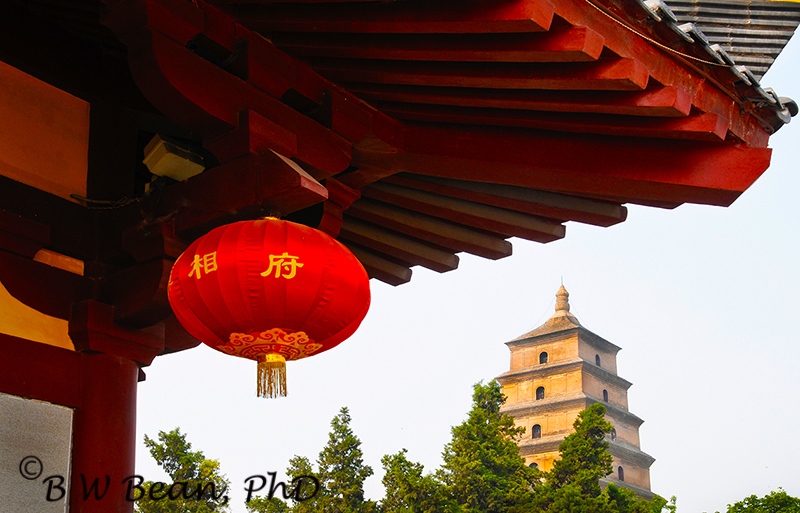 Located just south of Central Xian and the City Wall, The Great Goose Pagoda stands over 210 fee high in the center of the of the Ci’en Temple complex, overlooking the City of Xian. The climb is a bit tiring (no elevators here!) but the views are wonderful. At the pagoda’s base is the temple complex which is then surrounded by a lovely park. As with most Chinese parks, this one is well used by the people of Xian for walking, exercising, and relaxing. Strolling the lanes you will encounter all types of activities including Tai Chi classes, people practicing their wooden flutes, and individuals taking lessons in Chinese Calligraphy.There is a very pleasant, and congenial atmosphere. The activity is non-stop. In the evening there is a “dancing water show” at the central fountain area. Elsewhere, others are doing synchronized group dancing to contemporary rock music. You may very possibly hear a series of loud popping sounds. It may sound like fireworks but if you follow the sound you will likely be surprised to encountered a group of people practicing and displaying their skills with bull whips. 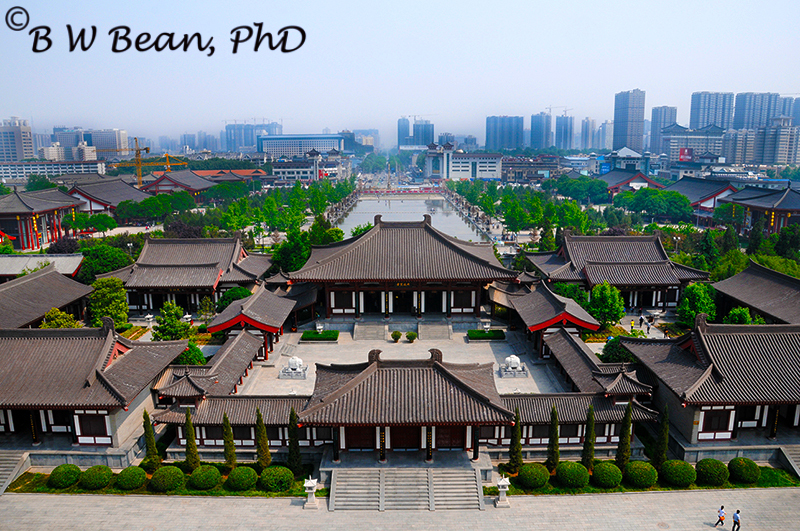 This is indeed a place to visit in Xian – you’ll never know what you might run into – but it’s loads of fun. 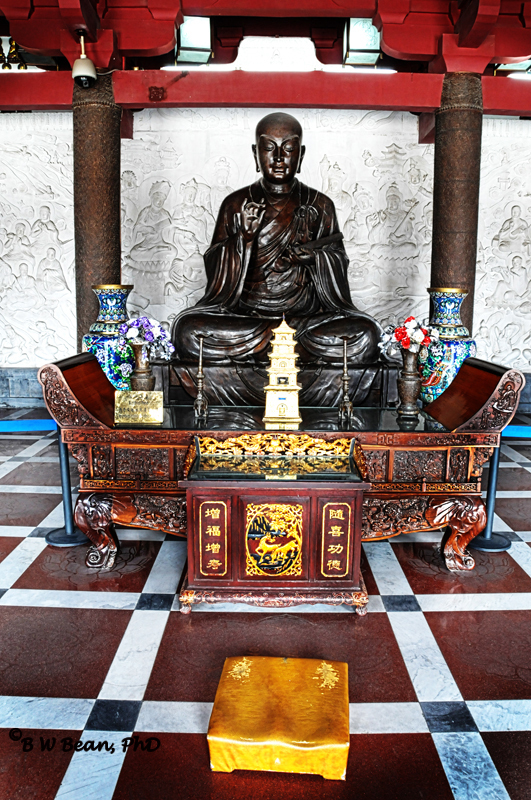 Not far from the Great Goose Pagoda is the smaller and more intimate Jianfu Si Temple complex. 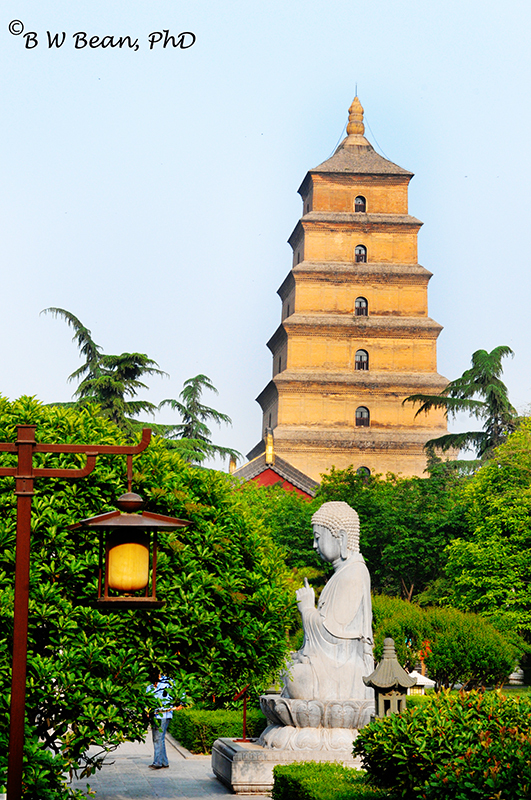 The smaller pagoda,141 feet in height, is from the Tang Dynasty and was built to store the sutras Buddhists brought back to Xian from India. There are lovely walks and shady areas to stroll and relax. 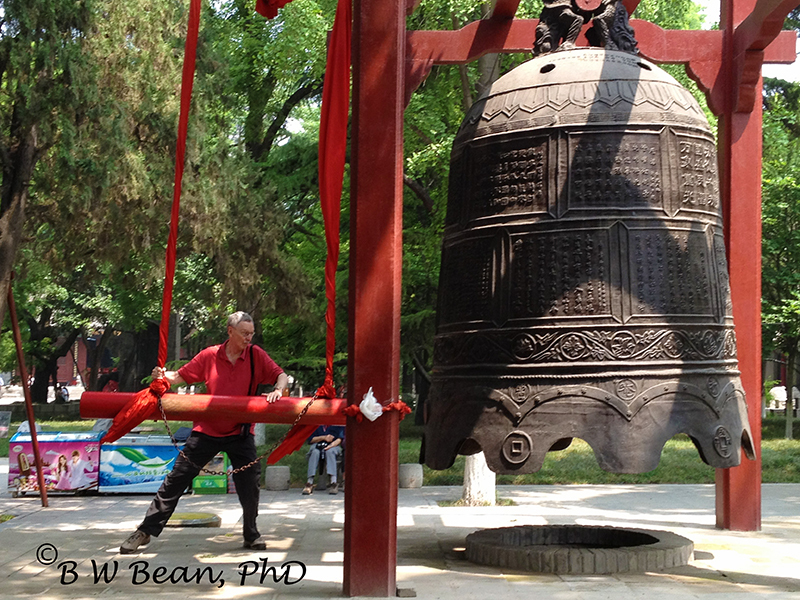 Along one path you will discovere an enormous bell. For a small donation you can ring the bell three times. The deep tones can be heard for miles I am sure. Xian is famous for many things. On the food side it is famous for it’s dumplings. 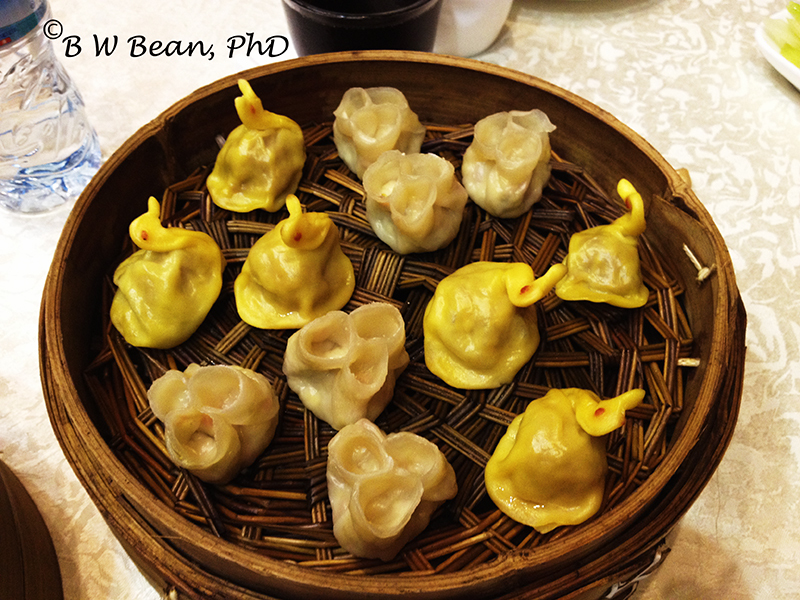 A speciality of the area – you can have entire meals of dumplings – appetizer dumplings, entree dumplings, dessert dumplings! Served in little baskets that are stacked layer upon layer, they variety is amazing. They are visually attractive and very tasty. To top it all off – many are shaped to reflect contents – fish, chicken, ducks, etc. De Fa Chang’s is one of the most well known restaurants specializing in dumplings. Upstairs you can select a banquet from various pre-set menus. Downstairs you can create you own combination – and prices seem to be better as well. Don’t Miss Xian China …………. And Enjoy The Adventure! 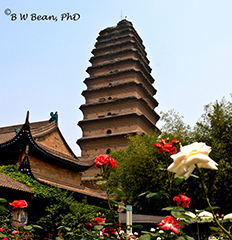 This entry was posted in Flashback Friday, General Photography and Travel, Travel, Travel Tips and tagged China, city wall, pagoda, Terra Cotta, Xian by Bruce W Bean, Ph.D. Bookmark the permalink.